Ref: AP452 Between 1926 and 1933 some 200 Trimotors were built in Fords own factory. Corrugated metal on great thick monoplane wings was a German development, used in Junker JU-52 planes that were flying the Berlin-Rome-London route. 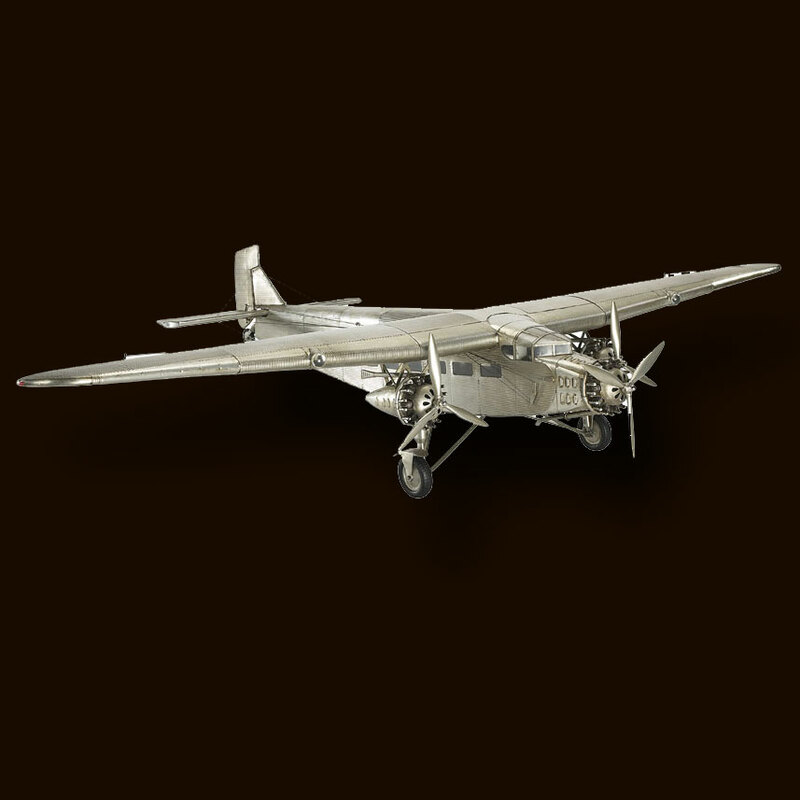 Trimotors were flown by airlines, oil companies and wealthy individuals. The Ford Trimotor and Junkers JU-52 were pioneering aircraft that led to generations of Douglas and Boeing fleets of aircraft, soon to criss-cross the world.